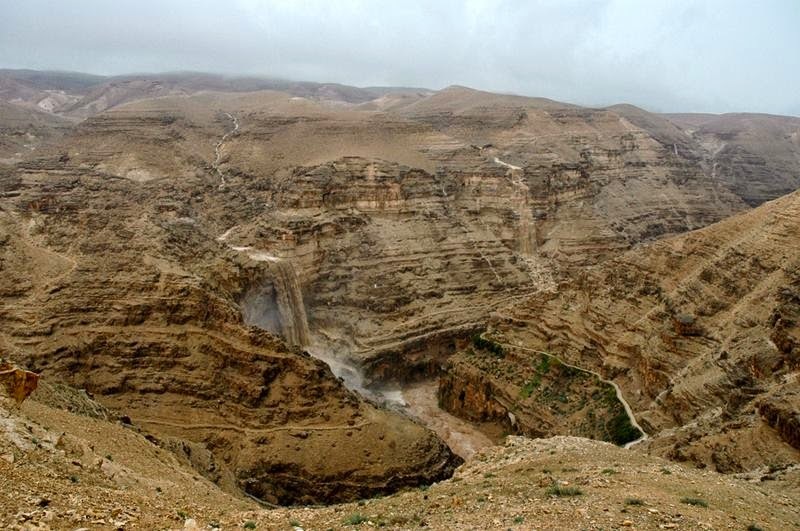 Wadi Qelt is a desert valley that runs through the Judean Desert in Israel , reaching near the Dead Sea. 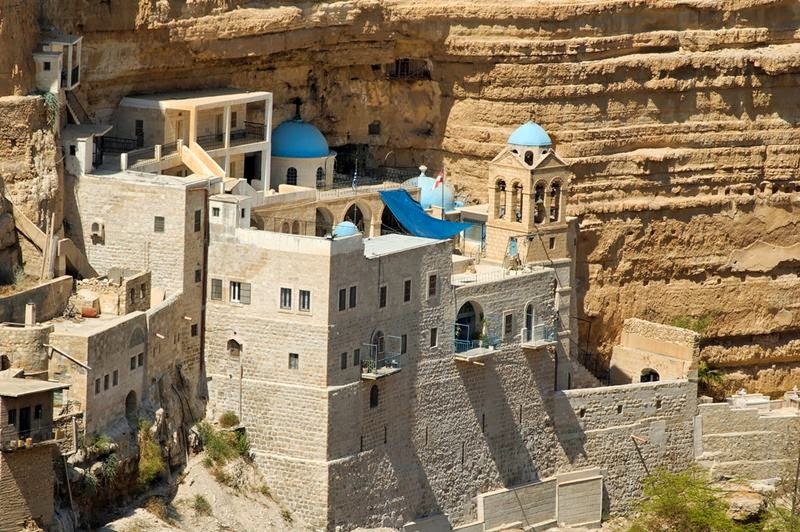 In it, among other historical ruins and ancient synagogues is a curious monastery located on a cliff called Saint George . 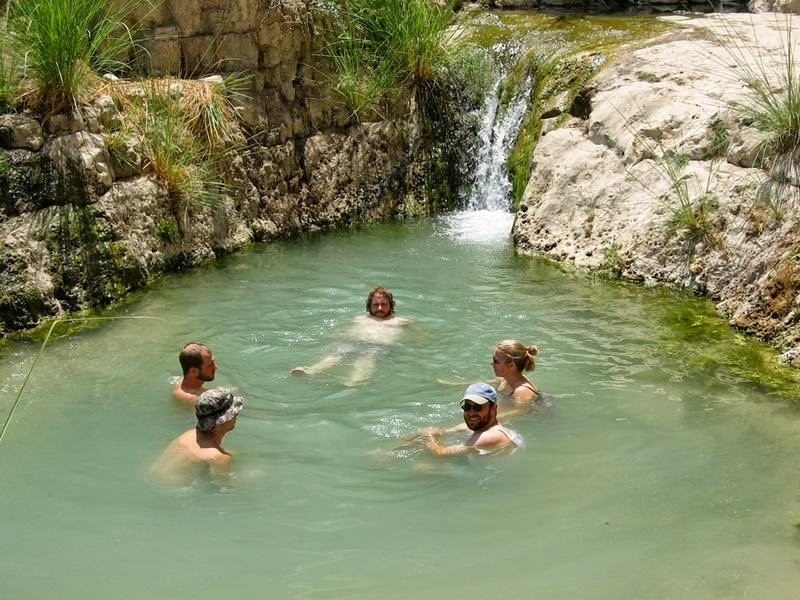 Wadi Qelt is home to a unique variety of flora and fauna. 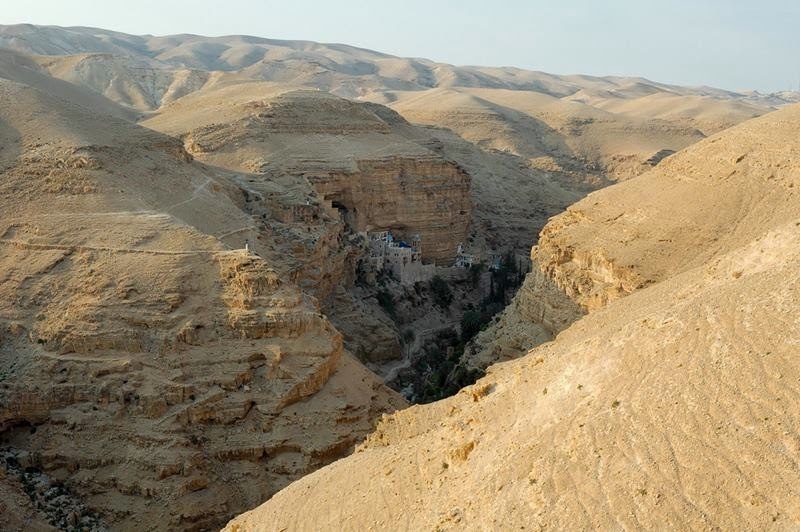 St. George's Monastery and one of the oldest synagogue in the world, Shalom Al Yisrael Synagogue, are located in Wadi Qelt, which has been identified with the biblical "Perath" mentioned in Jeremiah 13:5. 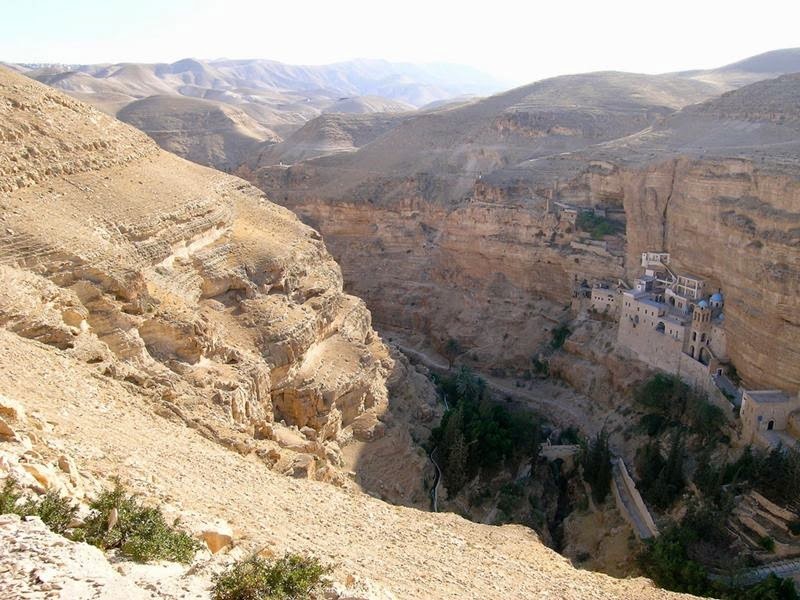 St. George Orthodox Monastery, or Monastery of St. George of Koziba is a monastery located in Wadi Qelt, in the eastern West Bank. 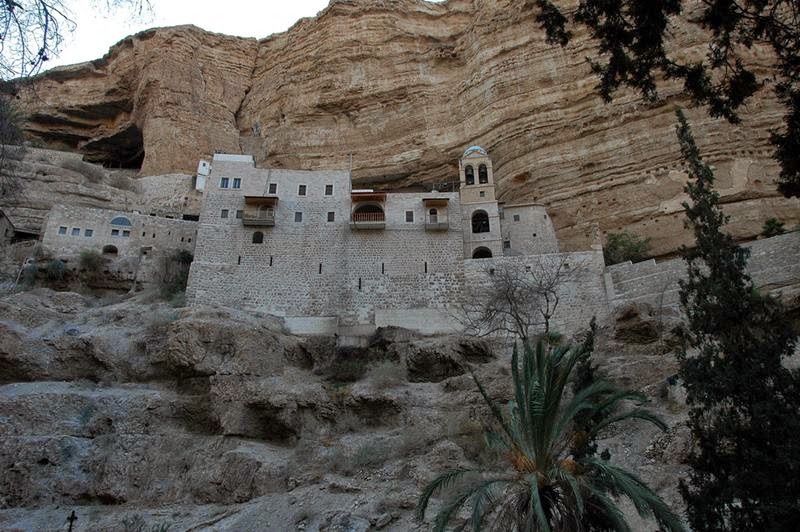 The sixth-century cliff-hanging complex, with its ancient chapel and gardens, is active and inhabited by Greek Orthodox monks. 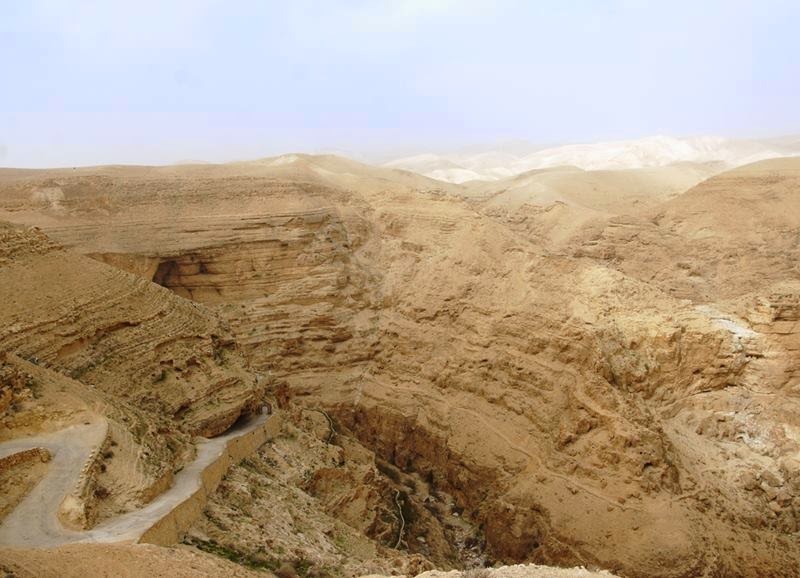 The valley parallels the old Roman road to Jericho, the backdrop for the parable of the Good Samaritan (Luke 10:29-37). The monastery is open to pilgrims and visitors. 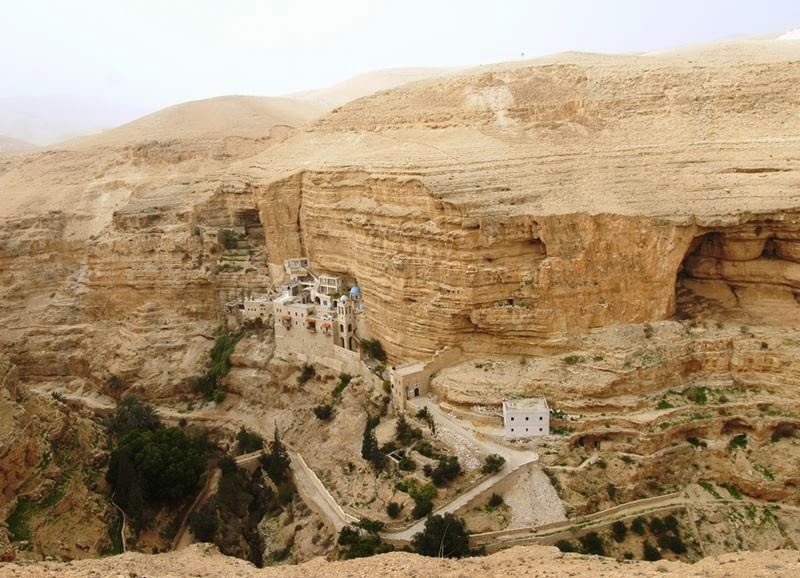 St. George's Monastery began in the fourth century with a few monks who sought the desert experiences of the prophets, and settled around a cave where they believed Elijah was fed by ravens (1 Kings 17:5-6). The monastery was named St. George after the most famous monk who lived at the site – Gorgias of Coziba. 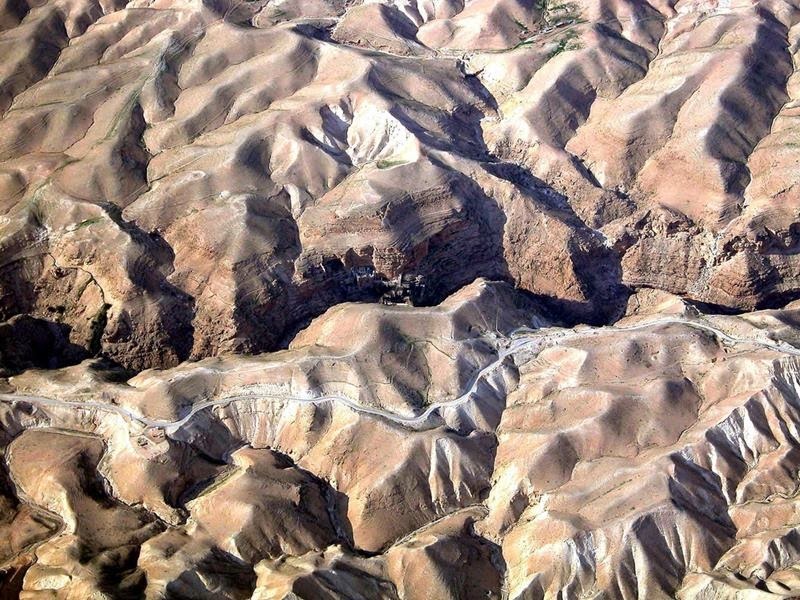 Destroyed in 614 A.D. by the Persians, the monastery was more or less abandoned after the Persians swept through the valley and massacred the fourteen monks who dwelt there. The Crusaders made some attempts at restoration in 1179. However, it fell into disuse after their expulsion. In 1878, a Greek monk, Kalinikos, settled here and restored the monastery, finishing it in 1901. 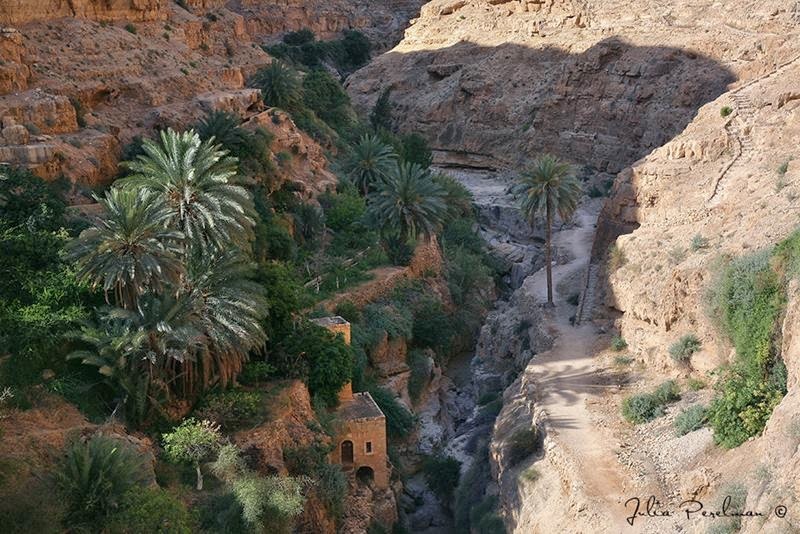 The traditions attached to the monastery include a visit by Elijah en route to the Sinai Peninsula, and St. Joachim, whose wife Anne was infertile, weeping here when an angel announced to him the news of Mary's conception. The bones and skulls of the martyred monks killed by the Persians in 614 A.D. can still be seen today in the monastery chapel. 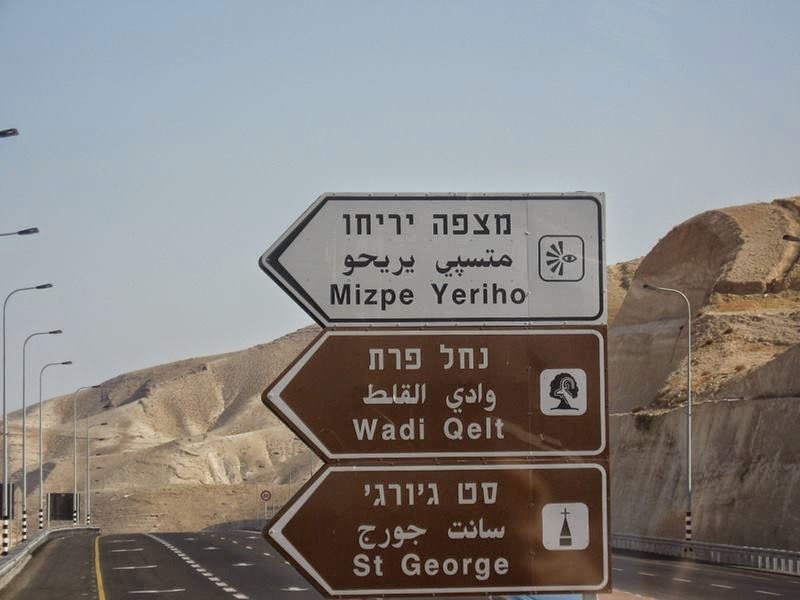 Located just 20 kilometers from Jerusalem on the way to Jericho , close to that of a fast mode is only possible through vehicles. It is advisable to get to a hill overlooking the monastery where the best panoramic views of the valley are obtained.